LGC said today it has acquired Maine Standards Company, a provider of calibration verification materials for U.S. clinical laboratories, for an undisclosed price. Established in 2001, Maine Standards Company specializes in calibration verification/linearity testing, serving the needs of clinical laboratories, and most recently, physician office labs. The company specializes in developing and manufacturing products for calibration verification/linearity, reportable range validation, and new instrument performance validation. Earlier this year, Maine Standards Company released the VALIDATE® HbA1c calibration verification/linearity test kit; as well as VALIDATE ANEMIA, a calibration verification/linearity test kit designed to measure Ferritin, Folate, and Vitamin B12. The company manufactures VALIDATE calibration verification/linearity test kits for over 80 analytes, including general chemistries, urine chemistries, enzymes, lipids, HbA1c, therapeutic drugs, cardiac markers, thyroids, serum proteins, vitamin D, prostate specific antigen, and ferritin. Going forward, LGC said, Maine Standards Company will continue to operate from its recently opened facility near Portland, ME, in Cumberland Foreside, under LGC’s ownership. 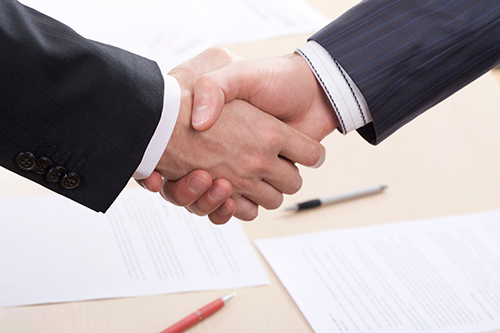 London-based LGC said the acquisition will strengthen its growing portfolio of reference materials and proficiency testing programs for the clinical market. “Our two organizations represent a highly complementary commercial and cultural fit, with a common commitment to developing products of the very highest quality for the benefit of our customers,” Euan O’Sullivan, managing director of LGC’s Standards Division, said in a statement. LGC serves customers in pharmaceuticals and a number of other industries, including agricultural biotechnology, food, environment, government, and academia. The company employs more than 2,000 people, and operates in 22 countries worldwide.